We attend to every detail. Even the ones you will probably never notice. Everything is perfect- right down to the packaging. The average wedding videographer spends 10-15 hours in the editing process. We spend over 60 hours editing, perfecting color, adjusting sound, and timing music to tell the story of a lifetime. We leave no detail unattended and your final video will be a work of art you will want to watch over and over again. A typical video begins with hours of uncut footage that ends up as a spectacular high definition masterpiece. After completing your edit, we create four custom DVD/ Blu-Ray combo packages for you. 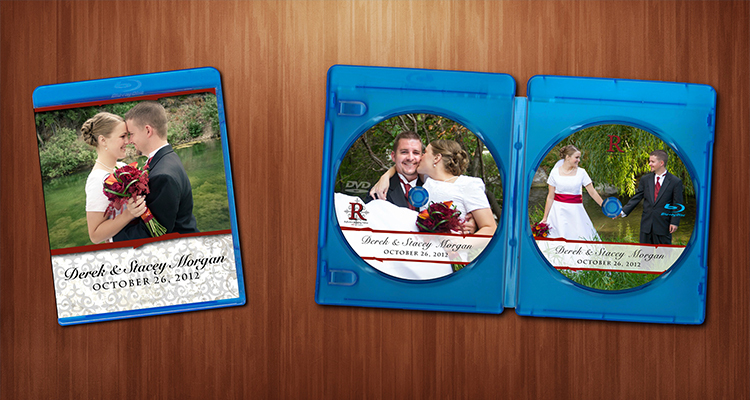 Each set is packaged in its own custom designed DVD case with custom inserts, covers, and labels. All DVDs are elegantly packaged and shipped via USPS.